The 1980s was the decade of shoulder pads and big hair, and it also gave rise to many perfumes that matched. Those ten years saw an incredible output of fragrances and it was impossible to keep up with each one. This meant that so many slipped under the radar. One that proved incredibly popular however was Forever Krystle from Charles of the Ritz. It was created to tap into the success that the television series Dynasty was enjoying at the time and the heroine, Krystle Carrington, was chosen to be the inspiration. Originally released in 1984, it’s time to see if the years have been kind. At the height of its reign, Dynasty was enjoying an audience of twenty-one million viewers and so it was inevitable that merchandise would start to appear. 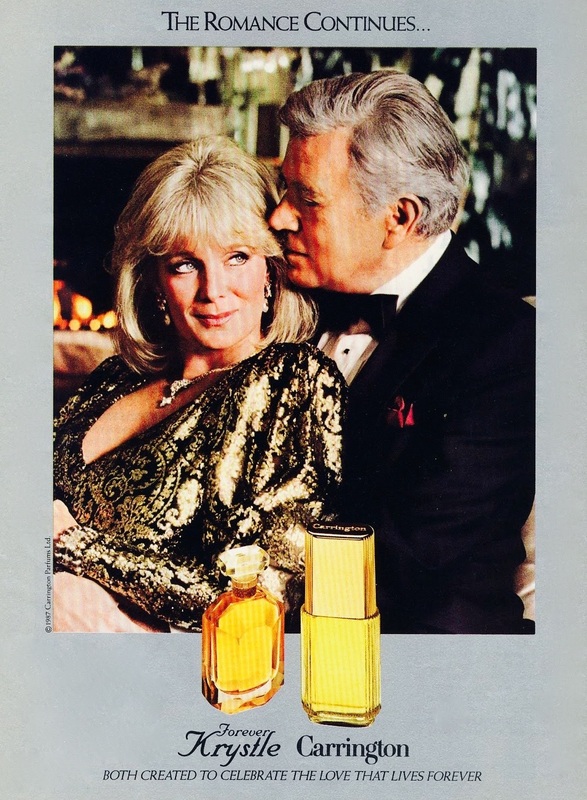 The launch of the fragrances Forever Krystle and Carrington, advertised by Linda Evans as Krystle and John Forsythe as Blake, were originally limited releases although they soon became widely available in American department stores. Forever Krystle enjoyed respectable sales even after the series had finished, which unfortunately couldn’t be said for Carrington. In a 2011 interview Evans revealed that she actually worked with the perfumer on her scent, although it is unlikely that Forsythe did the same. The two fragrances were originally released by Charles of the Ritz, then ownership passed to Yves Saint Laurent in 1986, before finally ending up with Revlon in 1987. The original advertising campaign said that the fragrances were “Created to celebrate the love that lives forever,” but does it still stand up thirty-one years later? 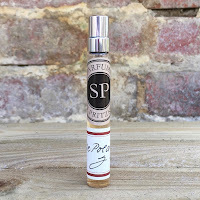 Forever Krystle opens with a burst of mimosa, the bergamot seeming to show itself second, but then as the rose starts to come through there is also a peppery eugenol note, which playfully suggests a spicy oriental could be about to appear. The floral aspects are then added to by a sweeter tonka bean and vanilla pairing, that does add beautifully to that earlier impression of the spicy rose, before a final dry down is reached of musk and iris … lots of iris. You have to remember that Krystle Carrington was the epitome of a gracious lady, the exact opposite of Alexis, and so the iris combined with the musk provides a gentle, saintly quality. So, is it what I expected? No, and I am pleasantly surprised. What I thought was going to be a brash, rose centred floral turned out to be a gently romantic scent. 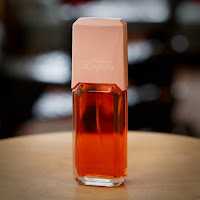 Forever Krystle is no longer in production although the perfume and eau de toilette regularly show up on eBay. Perfume has always been a great passion of mine and I am lucky enough to work within this fascinating industry. Every day brings new challenges, experiences and delights to a workplace that is crammed full of new releases, evergreens, and fading classics. 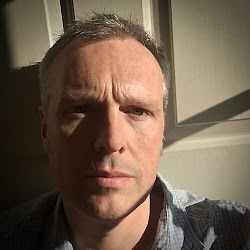 This blog will bring together my ramblings on all manner of aspects of the perfume industry from bottle design to fragrance, companies to noses, and everything in between. Opinions are my own and they do not in any way represent the views of the companies mentioned. Where products or services have been provided by the companies it is stated at the end of the article. All content © Stephan Matthews 2015-2019 unless stated otherwise. All rights reserved.